These days, editing is all about getting your job done as quickly and as efficiently as possible, and in many (most) cases, organization of your workflow can be key. Adobe Premiere Pro goes a lot way towards helping to keep your project organized in order to your footage and get it into your timeline quicker, but what about finding the part of the clip you actually need? If you have a clip that’s a few seconds long, it’s easy, but interview clips that could range from 20 min to two hours can be more of a challenge. That’s where Transcriptive from Digital Anarchy comes into play. 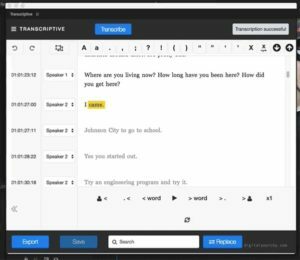 As a plug-in for Adobe Premiere Pro that works in partnership with a voice recognition service, Transcriptive takes all the footage in your project and transcribes it. 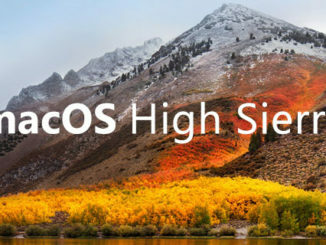 The benefit, here is not only do you have your audio in written format, but also that you are able to find sentences right down to the individual word, lightning fast! 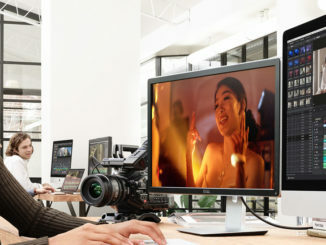 A 60 minute clip, for example, can be processed in just 10 minutes. That’s pretty fast. Now, before we go on, it’s important for me to clear up something I said earlier, and that’s about the transcription service itself. Transcriptive does not transcribe your footage. 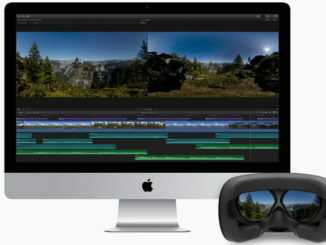 It’s just the plug-in inside of Premiere that takes the transcription and make it available to you inside of the Transcriptive dialogue window. Transcriptive gives users two choices for automated voice recognition to transcribe a project’s audio. The first is Speechmatics. According to the Transcriptive website, this service has up to a 95% accuracy rate and works well even with audio bogged down by ambient noise. It’s priced at $0.07 a minute, but you get 60 minutes free to try it out. The second choice is Watson, by IBM, which is a little less accurate, but you get 1000 minutes (over 16 hours!) of FREE transcriptions per month. If you need more than that every month, it’s only $0.02 a minute. For the purposes of this review, I decided to go with Speechmatics, to see how well it worked. First, installation of the plug-in is simple and straightforward, and once installed, you can find it in WINDOW>EXTENSIONS>Transcriptive. Next, you’ll need to head over to either the Speechmatics or Watson website and sign up for an account. With both accounts you will get a free trial, Speechmatic gives you one hour of transcription, and Watson gives you over 16 hours, so most people will probably jump at Watson first, but if the transcription is not as good as Speechmatic, you’ll find yourself doing a lot more work on the back end than you might want to. 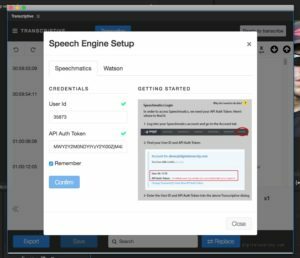 Once you’ve signed up, you enter your credentials in the “Speech Engine Setup” section of the Transcriptive dialogue box. Next, simply take the timeline you want to transcribe, select it, and hit “Transcribe”. I took an 8 minute timeline of a couple of clips from Editstock, and Speechmatics took about 1:50 to transcribe it. That’s not too shabby. 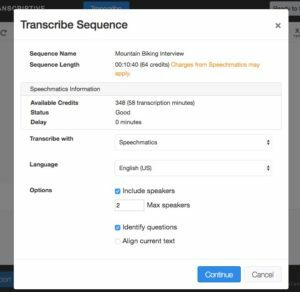 When finished, the transcription immediately appears in the Transcriptive dialogue window, ready to go. What’s important to keep in mind with an automated process like this, is that nothing is perfect. You will, once the transcription is ready to go, need to go through and watch the video, and read along with the new transcription, to make sure that what was transcribed is what was actually said. My experience in this test was that, for the most part, Speechmatics did a really good job, and most of the work I had to do was to group paragraphs together. The process of making changes in the Transcriptive window is pretty easy. Simply find the word or words you need to change, and press “Enter” on the keyboard. Alter what you need to, and then press escape. You can also do simple tasks like changing the Upper/Lower case of words by either using shortcuts, or the toolbar at the top of the window. To either group paragraphs together, or break them down to define new speakers (interviewers) can be done by either using the keyboard shortcuts, CMD+SHFT+Up Arrow or CMD+SHFT+Down Arrow respectively. Now, here’s where things get really cool. As you’re watching/reading your transcription, which can be easily played right from within the Transcriptive interface, you’ll see your video either playing, or jumping back and forth to whatever section of the transcription you currently have selected. What’s even cooler, is that thanks to the most recent update to Transcriptive, there is now a new extension called “Power Search” in the extensions window, which you can use to bypass the Transcription window altogether (once you’re done checking your transcriptions), to quickly search for any word or phrase you might need, and once Power Search has found all the instances, you can quickly jump to that composition/transcription by simply clicking on it in the power search window. 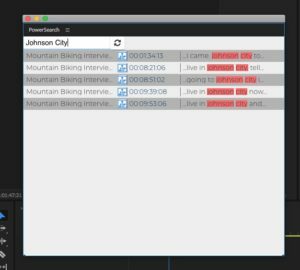 If you’re a Premiere Pro editor, working on longer form content, you really should check out Transcriptive. The plug-in itself is $299, plus any transcription fees on top of that, but from what I’ve seen so far, it’s an investment well worth making! There are so many other great features of Transcriptive that I’ve only scratched the surface. You can download a free demo over at www.digitalanarchy.com.